LONDON - Small businesses and entrepreneurs look set to benefit from this year's Budget, after the Chancellor outlined a number of favourable tax treatments and support measures. 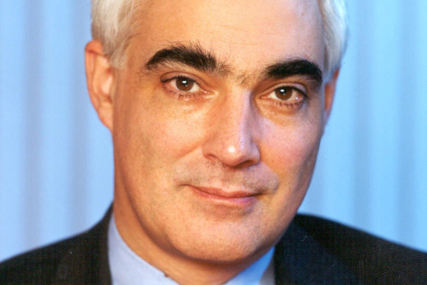 Delivering the last Budget before the general election, Alistair Darling today promised to extend for the whole of the next Parliament the existing scheme that gives small businesses extra time to pay tax. There was nothing specifically designed to support the creative and media sectors, other than a pledge to help the computer games industry, in a package that was targeted more at the manufacturing sector. Business rates will be cut for one year from October, with Darling claiming this will mean a tax reduction for half a million small businesses, with 345,000 of them set to pay no business rates at all. Those ready to sell their business can breathe a sigh of relief that capital gains tax will not be changed from its 18% rate. Moreover, Darling is to extend entrepreneurs' relief for CGT, which currently taxes the first million pounds of lifetime gains at a lower rate of 10%, to the first two million pounds. The state-owned banks, RBS and Lloyds, have agreed to provide a total of £94bn of new business loans over the next year, of which "nearly half" will go to small and medium-sized enterprises (SMEs). This compares to £38bn the two banks lent to SMEs in the past 12 months. Darling also pledged to increase by 15% the proportion of central government contracts that go to SMEs. He said: "This could mean new business worth an extra £3bn from central government alone, and up to £15bn across the wider public sector." Darling also extended the guaranteed offer of work or training for those under 24 who are unemployed for more than six months, until March 2012. On the economy, Darling said he would hold to his forecast of growth of 1% to 1.5% during 2010, but would lower his 2011 forecast to 3% to 3.5%, from 3.25% to 3.75%. Projections for the public finances assume figures on the lower end of the ranges.